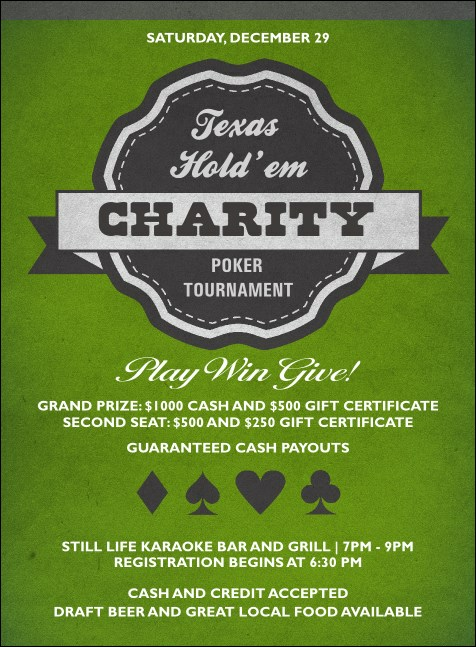 Invite fans of big bets and great games when you send out the Texas Hold 'Em Invitation. This stylish template features a green background, just like the felt on a poker table. Pair with matching tickets, flyers, and VIP passes for a full house of event promotions. You don't have to gamble with your promotions! You'll always come out ahead at TicketPrinting.com.